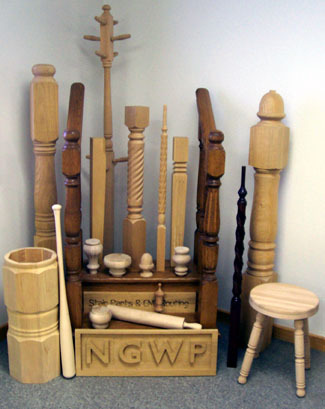 As a compliment to our stock wood stair parts and wood furniture parts, we can also supply you with custom made products such as replacement spindles, chair legs, wood coat racks, decorative wood columns, wood signage, stair railings, replacement stair parts and more. If it is a reproduction item it is best if we have a sample or a full scale print to work with. If this is not possible we will work with to you come up with a workable option. Custom products are not limited to turnings we have worked on a large range of products and would be happy to look at your ideas. Tell us about your custom project by phone, mail or the form below and we’ll contact you.